Dedicated runners often endure discomfort for extended periods of time. That's a great attribute, but it's always important that they listen to their bodies closely enough to distinguish between good and injurious pain. This can present a dilemma - when is it okay to run and when is it best to rest? I thought about that today after waking up with the same soreness that plagued me since last weekend. Pushing hard during yesterday's race was the likely reason for the return of this pain. I like to do a recovery run on the day following a race and was anxious to get outside this morning. Although my hamstring/glute area remained tender, there was no sharp pain. I weighed the benefits of running easy with the possibility of exacerbating the problem. I decided to go for it and gauge whether I was doing more harm than good as I moved along. My start wasn't encouraging. Yesterday I came across the starting line with a lot of energy. This morning my legs felt heavy and my stride felt out of sync. The soreness was there, but I didn't feel as though I was making it worse. 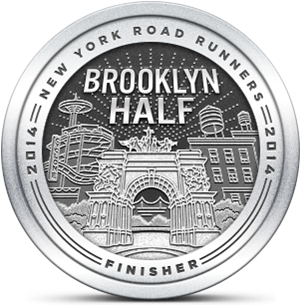 I'd committed to an easy pace and was concerned that I'd be tempted to pick up my speed as I went along. I watched my progress carefully to make sure that didn't happen. The pain subsided as I warmed up through the run, but it never fully left. I would have liked to cover more than 4.25 miles to get a little more distance into my weekly volume. I chose to cut things short rather than invite further injury. Hours later I'm happy with that decision. 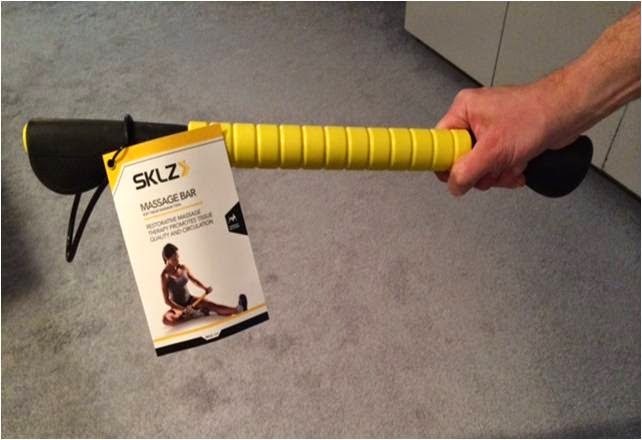 This afternoon I picked up a SKLZ massage bar that is similar to the "Stick" and other muscle rollers. I liked this design because it has some heft and the rubberized roller turns more smoothly than other devices I'd tried in stores. I put it to work as soon as I got home and it definitely provided a pinpointed soft tissue massage experience. Whether it will help my muscle pain still needs to be determined. Tomorrow is my usual rest day and I'm going to extend that at least through Tuesday. At this point I'm pretty sure my soreness issue is sciatica. It's still uncomfortable but I'm hoping that a combination of rest, heat, ibuprofen and massage-barring will help address that quickly. Congratulations on your "stick"! Where did you get it from and how much? You've inspired me to roll tonight. I love the relief it gives me. No bargain for this. I got it at Sports Authority for $29.99 (but had a 15% off coupon). Happy rolling. Don't eat the stick unless it's a candy cane.